On the day that Amazon’s new Kindle Fire is released to the world, what better way is there to celebrate than by giving two (2) away to a couple of Droid Life readers? Thanks to our local Portland friends at CompanionLink, we get to do just that. In a meeting with them last week, we were discussing the fact that their Android product is taking off in the business sector like crazy due to the massive growth on the platform. But as any growing company, they want to learn more and find new ways to expand or better their products. So that’s where this contest comes in to play – they want you to tell them a few ideas about how they can make your smartphone even smarter. CompanionLink is a software company in Portland, Oregon, specializing in data synchronization for mobile devices. With over 15 years experience in the field, it’s safe to say CompanionLink knows sync. Today, CL’s largest focus is Android to Outlook sync, though they do a lot more than that. If you’re in the market to sync your Droid, be sure to check them out. You can also find them on Twitter for more info. 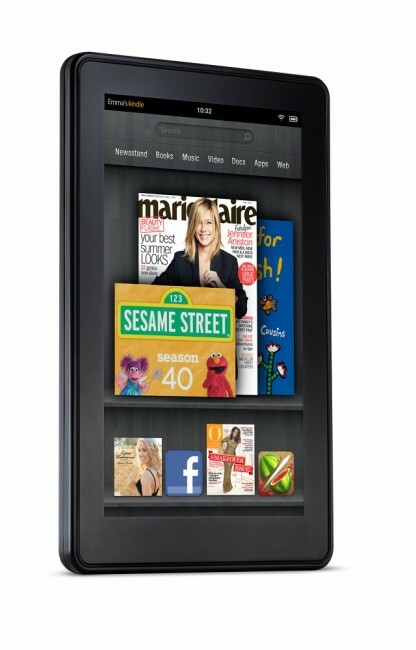 Two (2) Kindle Fire tablets. CompanionLink wants to know what killer productivity feature you wish you had on your Android device? In order to enter, all you have to do is give them feedback to that question in the comments below. And feel free to think outside the box here. For example, what if your phone could automatically send out a message when you’re running late to an event? It would send a text message to everyone attending the event and use GPS and traffic estimates to let them know how late you’ll be. Things like that. The contest runs from the time of this post through Friday (11/18). On Friday (11/18) Monday (11/21), the folks at CompanionLink will sift through the comments and pick our their two favorite ideas. From there, we will contact the winners and get the Kindle Fires sent out! Update: CompanionLink is enjoying all of the responses and would like to give you the entire day today (11/18) to respond. They will pick winners over the weekend and give them to me on Monday morning to announce.